Researchers at the UC San Diego School of Medicine Thursday announced the development of a quicker and cheaper process to create simplified versions of human organs, including the brain. Methods to study early human brain function are limited by the ethical and medical constraints of using live embryonic subjects and the inadequacy of animal and single-cell models. Thus, researchers have used human organoids — miniaturized and simplified versions of organs — created from stem cells to study the functions of the brain and other human organs in better detail. 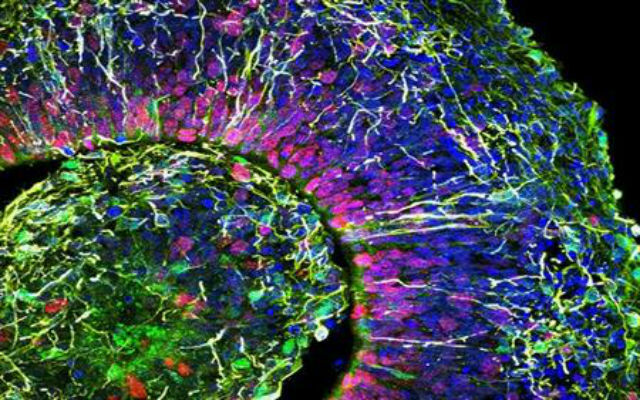 In the past, the development of brain organoids was laborious and expensive, requiring special tools and specific knowledge of stem cell generation. The new report in Stem Cells and Development by Muotri and her colleagues details the ways in which they’ve made it easier than ever to develop organoids. In essence, the researchers reprogrammed somatic cells into cortical cells, streamlining the process of tissue development and allowing for organoids developed from the cells with minor manipulation.